Bruce Pascal (RLOL: pinkbeachbomb) has made some of the most amazing discoveries in the history of Redline collecting. He found one of the only two known Pink Beach Bombs in existence (at one point owned both of them) and more recently, an unopened box of cars from the 1970s Shell Gas Station promo. Now Bruce’s tenacious sleuthing of ex Mattel employees has yielded another incredible discovery: a of set of drawings by legendary Hot Wheels designer Ira Gilford; hidden in a drawer for the past 40 years. These drawings have never been seen in public before today. They include the original concept drawing of the iconic Twin Mill, showing a cut fender model that varied from the production cars. This drawing verifies that Twin Mills with cut fenders were indeed the first, original concept. All but one of the 16 Hot Wheels released by Mattel in 1968 were designed by Harry Bentley Bradley, a car designer and hot rod enthusiast who previously worked in Detroit for GM. Unfortunately, Mattel would not commit to a second Hot Wheels series, so Harry resigned to start his own design firm. After the overwhelming success of the original Hot Wheels lineup, Mattel asked Bradley to come back. He declined the offer, but recommended they contact his friend, Ira Gilford, who had recently left Chrysler. Gilford accepted the job and turned out to be another home run hitter for Mattel. He went on to create 51 of the most famous Redline designs: including the Twin Mill, Splittin' Image, Classic Nomad, Volkswagen Beach Bomb, Custom Volkswagen and Classic 32 Ford Vicky. During his employment, Mr. Gilford gave his assistant a group of 11 original drawings from his Hot Wheels portfolio. These drawings were put in drawer where they laid dormant for the past 40 years. Recently, the owner sold them to Bruce, who graciously allowed them to be digitally scanned for display in this article. 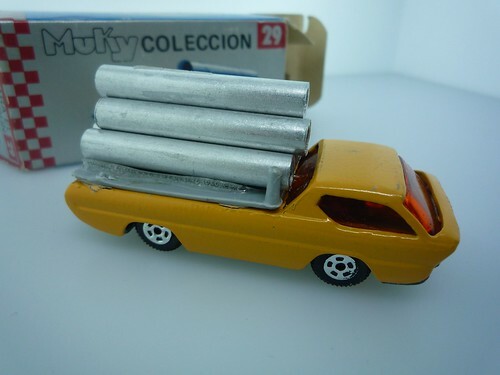 Some of you may have noticed this pair of MUKY cars from Argentina having sold on the Toy Car Exchange recently. What you may not know is that they are both from the recently unleashed Strauss Collection. TCE recently acquired Mike Strauss's entire collection of MUKY cars (well over 200 items) in April and intends to put them all up on for auction over the next few weeks. This collection includes mint, boxed examples of every car listed in the well known ’30 Modelos’ collector album and many more. Many long standing Redlines collectors are aware of MUKY, but for those of you aren’t, here is a short history of the brand. 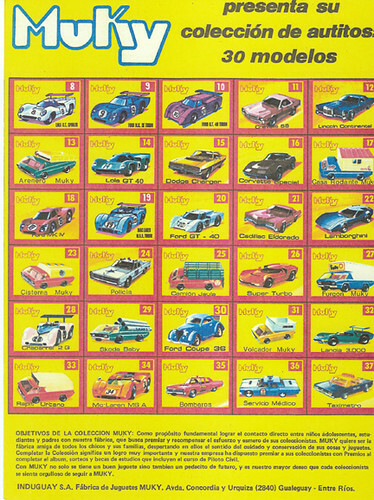 Argentinian die-cast history began in the early 1970s. Libio de Conti and his brother — entrepreneurs from South America living in California at the time — reputedly purchased several obsolete Hot Wheels molds from Mattel. They moved to Argentina and rented a warehouse in the small city of Gualeguay, Entre Rios, about 234 km NW of Buenos Aires. 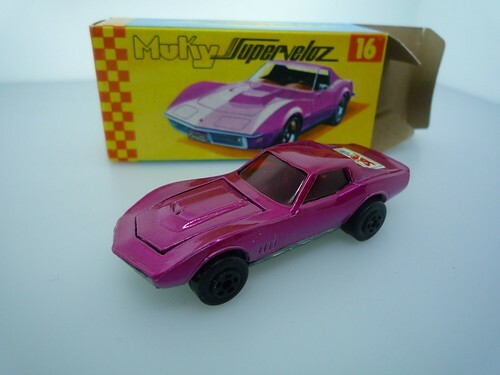 There they started producing a line of tiny ‘Hot Wheels’ sized die-cast cars under the name MUKY. 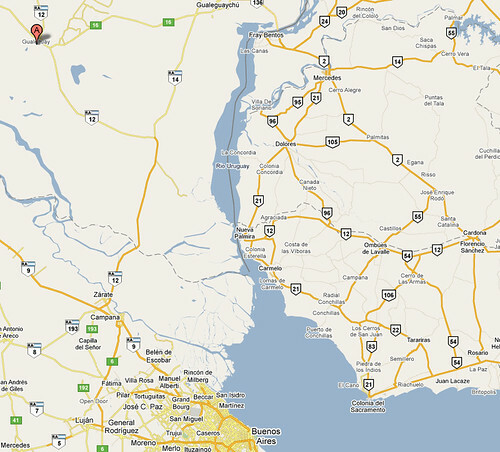 Production continued till the late 1970s when, due to difficult economic times, they closed shop and moved to Brazil. 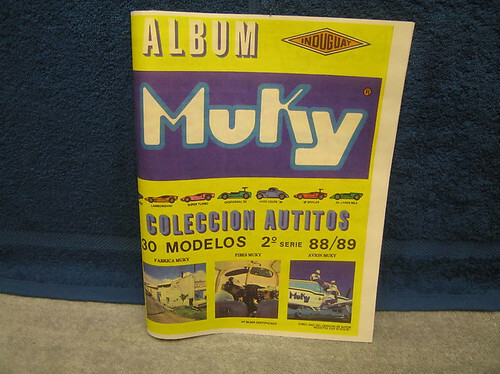 Around 1984 or 1985, an Argentinian businessman, Mr. Dell Aricprete, also from Gualeguay, purchased the abandoned MUKY die-cast equipment from the de Contis along with rights to produce a new line of MUKY cars. That is why MUKY cars appear to have been produced by two companies: the de Conti’s brand was Super Veloz; Mr. Arciprete’s, Induguay. The distinction between these two lines may be noted on the packaging and undercarriage of the cars. MUKY cars were originally made completely of Zamac, however Induguay introduced the idea of a plastic chassis with Zamac body. The idea was to improve durability for children and make the cars run faster. Window colors varied: some were amber; others transparent blue. Designs were inspired by well known American cars interspersed with vehicles from local Argentinian life. For example, there is a police car, some cargo and petrol trucks, one carrying water pipes and another carrying a small house trailer. Mr. Aricprete’s main business was aerial fumigation; die-cast cars was just a hobby. Soon after he started production, however, sales of his die-cast cars boomed. Induguay sold cars all over South America and in Spain through the Camara Argentina del Juguete. Individual packages were sent to collectors around the world, including, Mike Strauss. Induguay went on to produce race tracks and accessories with loops and turns as well as its popular ’30 Modelos’ collector album. Each car came in a box with a dotted line on the flap, meant to be cut off and placed in the album. Albums were distributed for free in resorts and shops and the company offered unique prizes for filled albums. For example, one prize was a ride in the company’s plane, others were college scholarships. At its peak, Induguay employed 45 people, plus contracted around 100 families that worked in their homes hand painting the pieces, adding stickers and finishing touches. Hand craftsmanship is the reason Induguay cars have unique, old-world artistic qualities that are almost non-existent in the world of mass produced toys. Click here to see the complete set of MUKY ’30 Modelos’ from the Mike Strauss collection. Click here to see more MUKY cars from the Strauss collection. There is more information about MUKY on the Internet, including this article by Dave Weber and Kimmo Sahakangas.